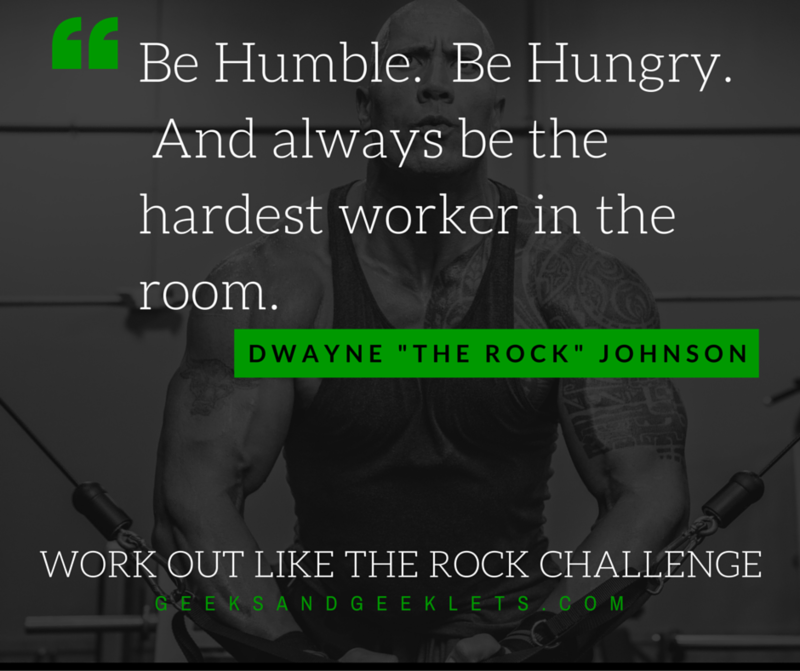 The Rock is such an inspiration to all of us here at Geeks and Geeklets, so we thought we would celebrate him by working out like him! Check out this great article which details his weekly workout plan and menu. A winner will be picked at the end of the week and will get an awesome Geeks Get Healthy shirt to show off at the gym! Check out our Geeks Get Healthy Facebook group and join the challenge which runs from 5/16 till 5/22!